Following is an excerpt from the Using Assessment to Improve Instruction Online Video Module at CIIA's webpage. Dr. Bill Moore of the Washington State Board for Community & Technical Colleges believes that good assessment tasks can’t really be separated from good instruction, that they are an important part of what good teachers continually do to gather evidence and provide feedback about how well students are performing. Pat Cross has called assessment "the zipper between teaching and learning," and that’s an apt metaphor for its role, but in my mind it’s even more tightly woven into the process than that: good assessment is part of the learning process, not just a means of documenting or judging that learning. Assessment can’t really be separated from instruction; it’s an integral part of what good teachers do on a routine basis through their classroom observations, activities, assignments, and tests. Good teachers are continually gathering evidence and providing feedback about how well students are performing—but for many teachers this work is not considered "assessment"—it’s just good teaching. If we believe that powerful learning involves changing our students’ understandings of core concepts and ways of interpreting the world around them, we need to focus considerably more attention on what their understandings and working models are, both prior to and during learning. In our teaching and our assessments, to what extent do we encourage rather than discourage surface approaches to learning, in effect allowing students to simply comply with task and course requirements and avoid changing their conceptions of core phenomena/ideas? How do we create learning situations that allow students to work on discrepancies in their conceptions in a supportive environment that encourages risk-taking and exploration? If assessment is going to serve in any meaningful way to improve learning, it needs to involve useful feedback to the person who needs to make the necessary changes or do something about it. Returning to the assessment critic I quoted at the beginning, I would suggest that if a so-called "assessment project" is truly getting in the way of "good teaching," then indeed it's not worth doing--but as I’ve tried to suggest here, something like that wouldn’t really qualify as assessment in my book. The assessment of learning is nothing more than the act of observing, attempting to understand, and provide feedback on the ways in which students are grasping, integrating, and applying the material and concepts they are confronting in your classes, and I have yet to see a good teacher who doesn't do this sort of assessment in some fashion, regardless of what s/he may choose to call it. 1. For a more amusing take on the issue, see Garth Holmes and Lynn Rodier (1999), "On the light side: Standardized testing vs. Formative assessment,"Teacher Newsmagazine, BC Teachers' Federation, 11 (5). 2. For a specific example in a science context, see Atkin, J.M., Black, P., & Coffey, J. (eds.) (2001) "Classroom Assessment and the National Science Education Standards” Washington, D.C.; National Academy Press. 3. Elliot Eisner (1999), "The Uses and Limits of Performance Assessment," Phi Delta Kappan, also addresses the critical role of teachers in this process. 4. Black, Paul & Wiliam, Dylan. (1998). "Assessment and classroom learning." Assessment in Education: Principles, Policy and Practice. 5 (1), p. 7-73. A Culture of Evidence III: An Evidence-Centered Approach to Accountability for Student Learning Outcomes, a report in which the Educational Testing Service, aided by an advisory panel of assessment experts, outlines how institutions of higher education can create comprehensive systems for measuring student learning outcomes. Alverno College's Diagnostic Digital Portfolio: A unique, dynamic assessment protocol which tracks a student’s progress throughout their years of study, allowing a continuous analysis of feedback from test scores and other academic work. Assessing Learning in Learning Communities: An ongoing national assessment project involving feedback from a case-study pool of twenty-two learning institutions. Carnegie Teaching Commons: An intellectual community space dedicated to the enrichment, encouragement and exchange of information and knowledge between teaching professionals. Connexions: An online interface designed to allow users to create, share and explore customized modular learning systems that can be applied to books, courses and reports. RP Group for California Community Colleges: A primary online networking hub for researchers, analysts and planning professionals representing California’s community colleges. University of Washington Study of Undergraduate Learning (SOUL) Project: Archived results of a longitudinal study which tracked the unique experiences of 304 undergraduates during their formative educational experiences at UW. What Outcomes Assessment Misses, an article by Steve Ehrman of the TLT Group arguing for a more comprehensive approach to assessing learning. Dr. William S. Moore is the Policy Associate for Assessment, Teaching & Learning for the State Board for Community & Technical Colleges (SBCTC) in Washington. Serving in that capacity since 1990, he has led the higher education assessment initiative in Washington state, including producing a quarterly newsletter, organizing an annual statewide teaching, learning, and assessment conference, and facilitating a number of statewide assessment projects. Over the past several years he has focused much of his work on college readiness and high school/college articulation issues, including providing leadership for the Washington Transition Math Project (http://www.transitionmathproject.org/). Dr. Moore graduated with honors from the University of Texas at Austin, earned a master's degree in counseling psychology from UT, and completed his Ph.D. from the University of Maryland in College Student Personnel Administration with a concentration in college student development. He has experience both as a faculty member and as a student affairs administrator. Most recently prior to joining the State Board staff in January, 1990, he taught fulltime at the University of Georgia and served as a Student Development Educator at Longwood College in Virginia. 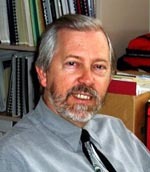 Over his 25 years in higher education, Dr. Moore has conducted numerous presentations and workshops at a variety of conferences and institutions focusing on his primary areas of research interest and expertise: student intellectual development and personal epistemologies, learning outcomes assessment, teaching-learning concerns, and organizational change issues related to teaching, learning and assessment.